Over-the-counter drugs are about as good for treating colds as Pez. At least, that’s what it seems like since a new study found that a main ingredient in nasal decongestants was no more effective than sugar pills. How Much Can You Drink When You’re Sick? Chicken soup’s been lauded as a cold remedy for centuries, from the ancient Egyptian-Jewish physician Maimonides to your mom. And according to the medical journal Chest, it really works! 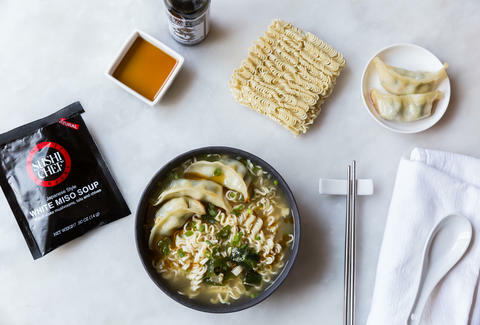 Research shows that hot broth helps slow the movement of white blood cells, allowing those infection-fighting bad boys to do their job more thoroughly. 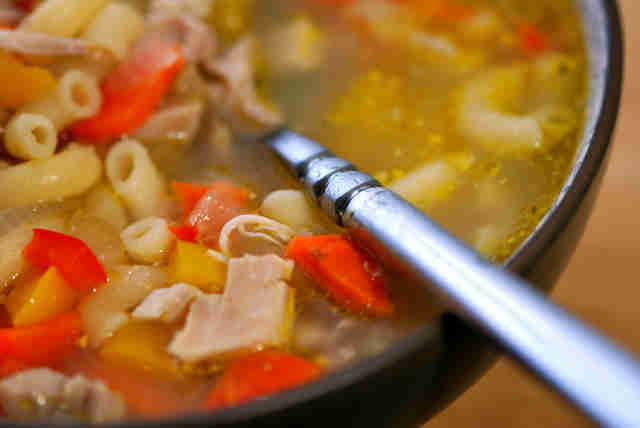 Whether homemade or cracked out of a can, chicken soup’s also one of the best remedies for more serious upper-respiratory infections like tonsillitis and laryngitis. 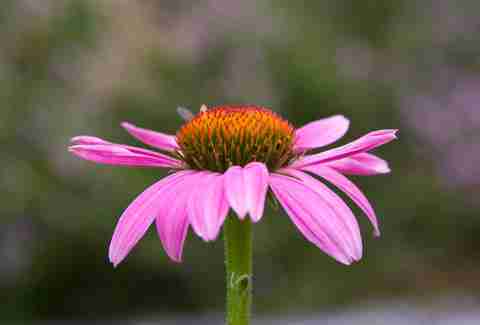 A recent study pitted echinacea against a prescription flu med, and you can guess who came out on top. Those taking the herbal drink were less likely to see their symptoms go downhill into pneumonia and bronchitis. Echinacea is also proven to cut the number of colds people get when taken regularly over time. 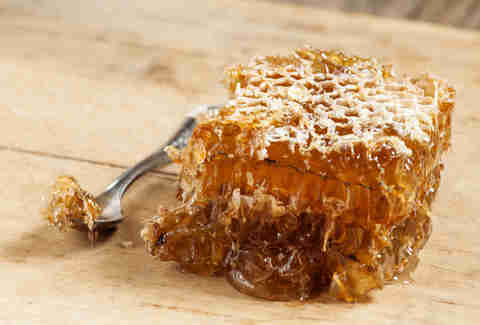 Eating sweets is a big no-no when battling infections, but count natural honey (the raw, unprocessed kind) as an exception. A study in Pediatrics found that kids who took just over half a tablespoon before bed slept better at night. So the next time you wake up from a coughing fit, hot water and honey might be your best bet for getting back to those sheep. Speaking of hot water and honey, add a few slices of ginger root and you’ve got the holy trinity of cold remedies. 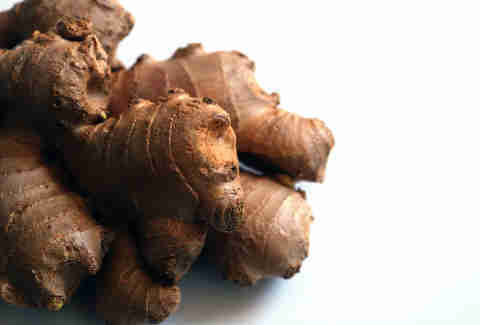 For thousands of years, ginger has been used to treat all kinds of ailments, and now modern research is catching up. Several studies, including one from the British Journal of Anesthesia, found that just one gram of ginger can help ease nausea and upset stomach. We all know the telltale signs of a cold coming on, or that feeling of dread after someone sneezes on you in the subway. Well, it’s time to make a new habit of pulling out zinc lozenges whenever either happens. 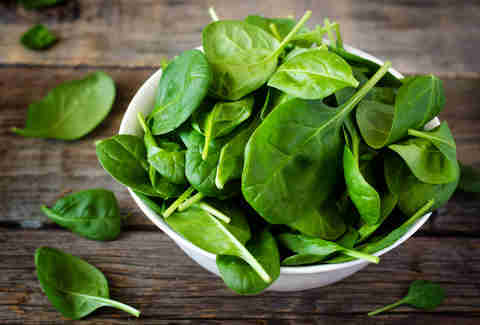 A review published by CMAJ said that the nutrient can shorten a cold by as much as two days. Spinach, pumpkin, and cashews are all high in zinc (as are oysters, if you dare to tackle an oyster happy hour while you’re under the weather). From kombucha to kefir, health nuts have a hard-on for anything with probiotics. And while you may be dying to shut down your righteous vegan neighbor, he or she is actually right on this one. A study of British students taking probiotic cocktails saw their symptoms disappear more quickly than those who didn’t. 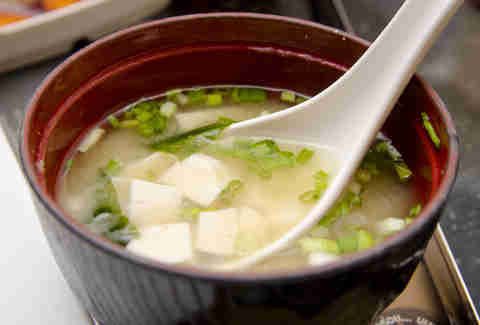 Do yourself a favor and order a miso soup, probably the most satisfying probiotic fix when you’re under the weather. 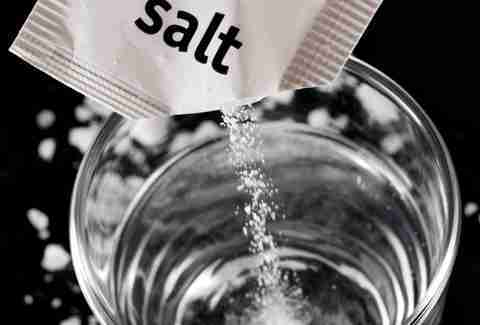 Gargling with table salt and water is more than an old wives' tale -- it’s been clinically proven to ease upper-respiratory infections. It helps draw away excess fluid and mucus, flushing nasty bacteria from the throat (nice mental picture, right?). So there’s no need to spring for meds that aren’t going to work; try some of these solutions, and you won’t be one of the suckers who spend billions of dollars, collectively, on the effective equivalent of sugar pills. Barbara Woolsey is a freelance writer for Thrillist who won’t be getting a cold this year. Follow her on Facebook, Twitter, and Instagram.